Motor yacht AQUA LIFE is a 27.74m (91') luxury vessel built by Horizon Yachts and launched in 2016. 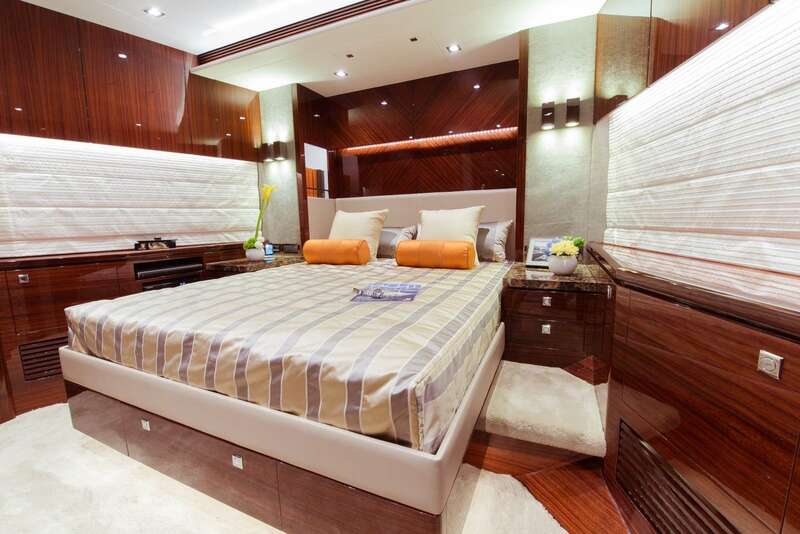 The yacht features inviting and modern interior design by Scott Carpenter with accommodation for you to eight charter guests in four luxurious cabins. There is a crew of four offering onboard service. After disembarking onto the lower deck swim platform, guests have access to the main deck aft by ascending the stairs to port and starboard. The main deck aft cockpit is fitted with a sofa along the stern and a raised alfresco dining table for use by the whole group. 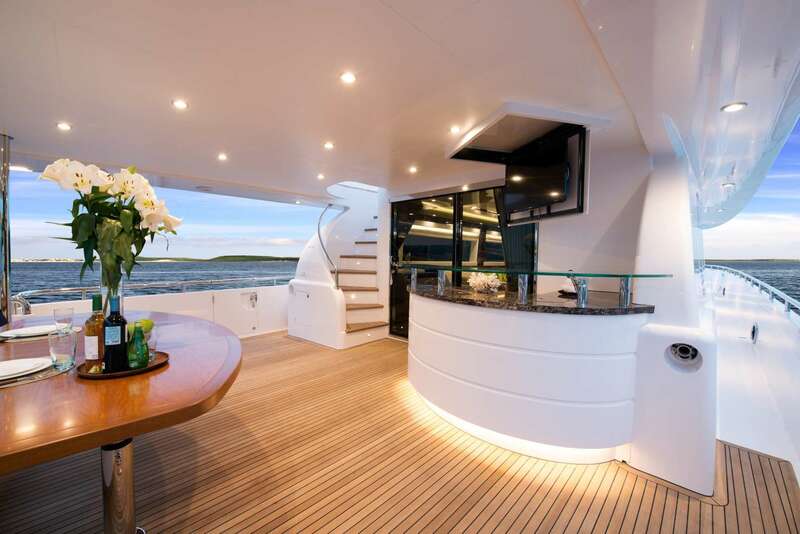 A wet bar is placed in the starboard corner with a widescreen TV descending from the ceiling. A port staircase leads up to the flybridge, where the tender is stored to the stern with a Davit crane for easy launch and retrieval. 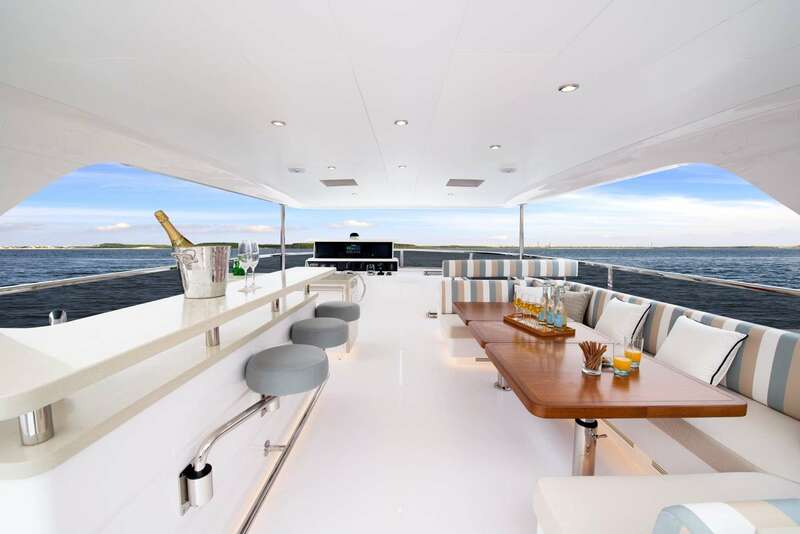 Sun loungers are placed aft of amidships in the sunshine while beneath the shade of the hardtop there is a port wet bar and starboard C-shaped sofa around a raise alfresco dining table. The outside helm station is placed forward with additional seating adjacent. 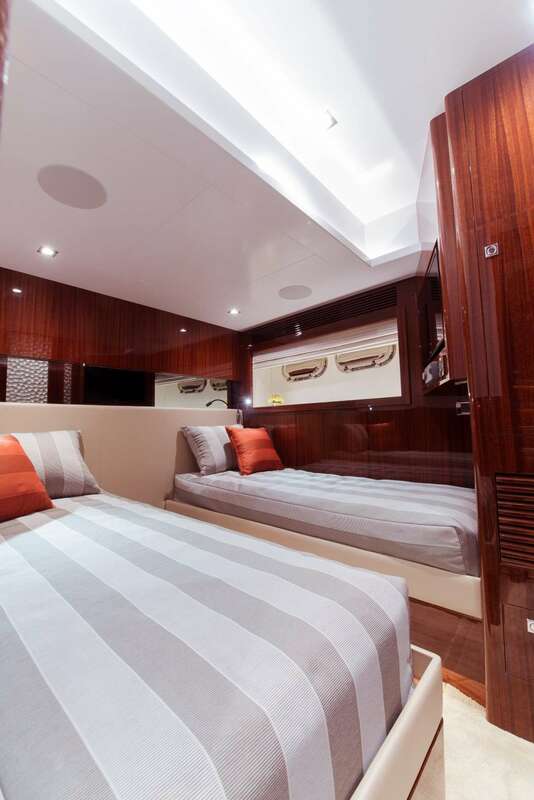 The foredeck is fitted with a loveseat in front of the raised pilothouse with a sunpad behind for resting while taking in the uninterrupted horizon. 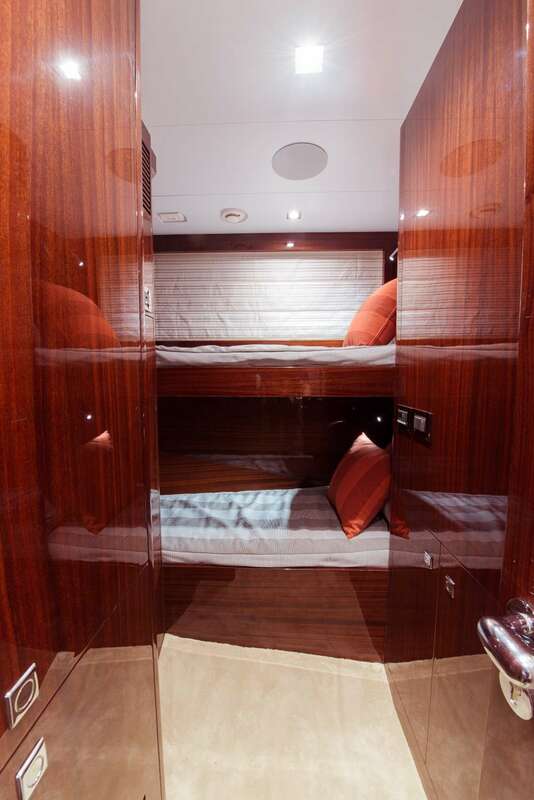 The lower deck places the crew accommodation and facilities in the stern followed by the engine room and the guest accommodation. On the main deck, the forward section is dedicated to a U-shaped sofa around a raised dining table, where guests can enjoy breakfast in the galley and take in the views through the surrounding windows. Following the galley is the elegant formal dining area in the shared main salon, where six-to-eight guests can savour a meal in the ambient and brightly lit interior. 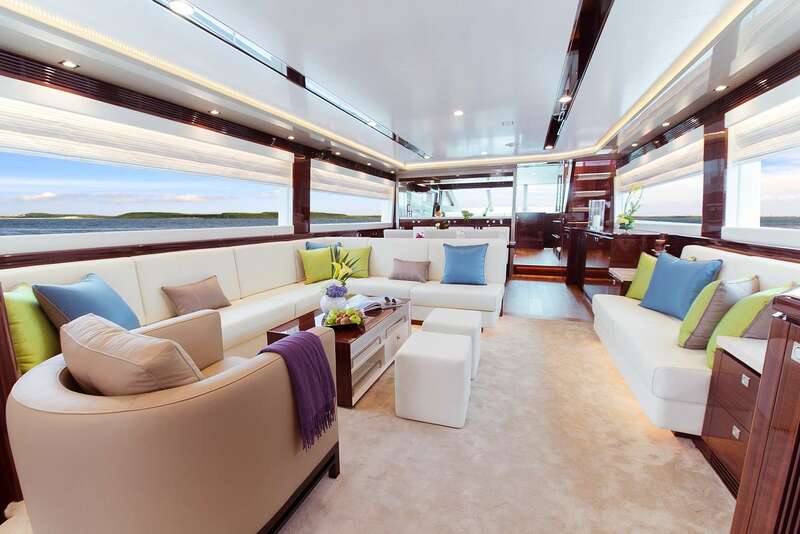 To the aft, the salon places an elongated L-shaped sofa along the port side in addition to a plush armchair and two footstools around a coffee table. For additional seating, a loveseat is placed opposite. 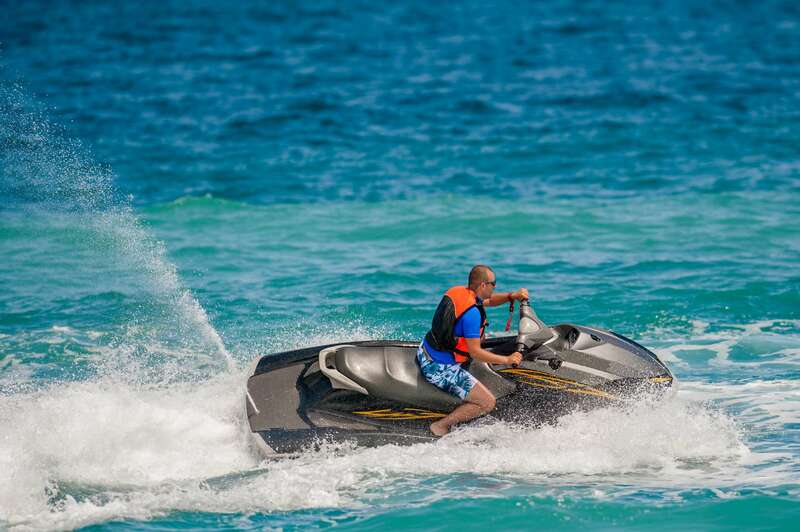 A pair of Caterpillar 1,800 HP engines produces a top speed of 26 knots, a cruising speed above 19 knots and a range of 350 nautical miles. The accommodation sleeps a maximum of 8 guests across 4 en-suite cabins: 1 Master suite, 1 double cabin, 1 twin cabin convertible to a double and 1 bunk cabin. The crew of 4 will keep everything running smoothly and on time throughout the cruise. 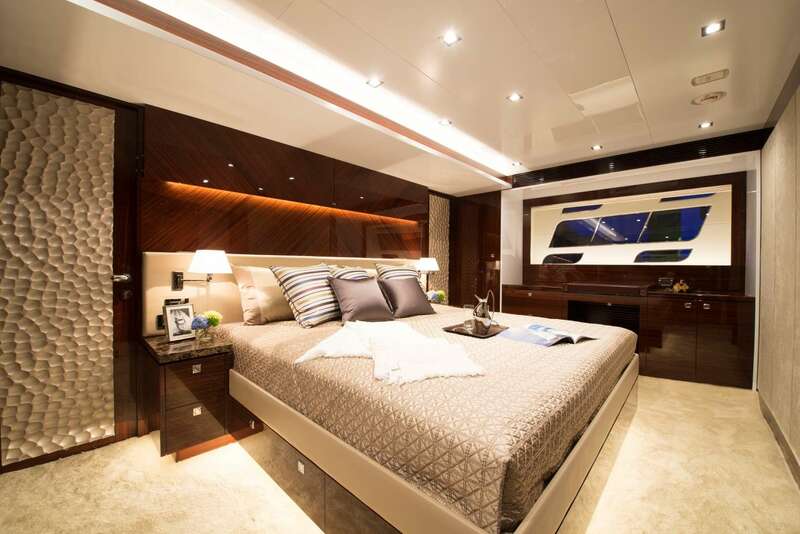 The Master suite benefits from the full beam amidships for plenty of space within the bedroom for a desk and sofa in addition to the aft bathroom with his-and-hers sinks, a shower and a walk-through wardrobe. 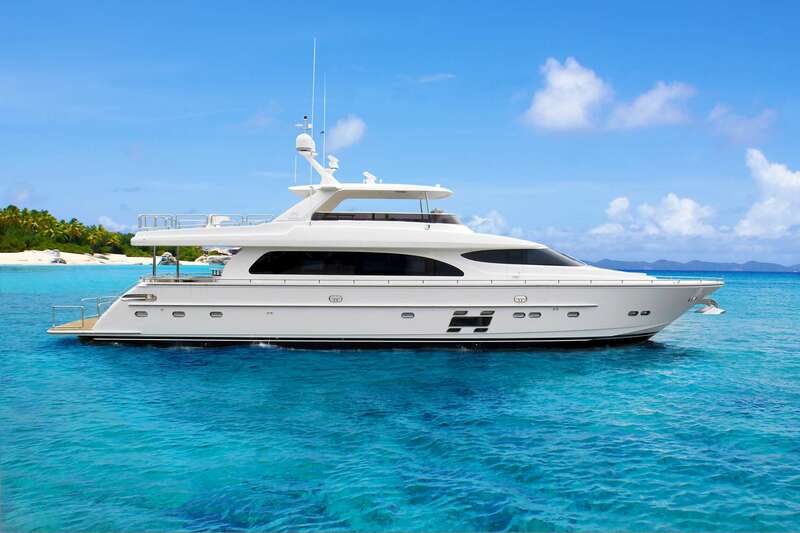 We do have available further amenity, owner and price information for the 27.74m (91') yacht AQUA LIFE, so please enquire for more information.